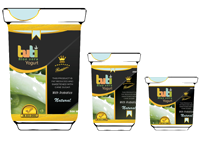 Tuti yogurt is a unique product concept that introduces Aloe Vera and its full range of health benefits in a snack. Tuti aloe yogurt is made using active, good bacteria or “live cultures”. One of the words that is synonymous with Tuti yogurt is “probiotics”. Probiotics are live bacteria and yeasts that are good for your health, especially the digestive and immune systems.